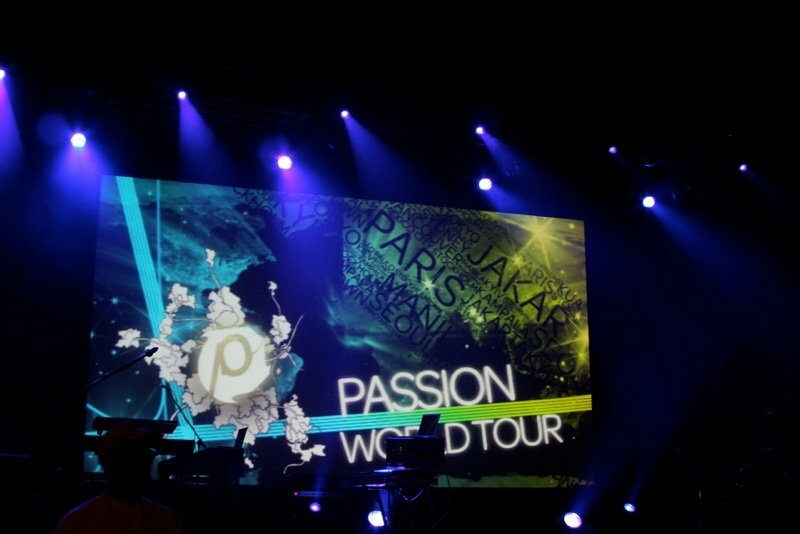 This afternoon, we headed to the KL leg of the Passion ’08 Conference World Tour!!!! What a moving experience! Being as slippery and competitive as I am, I managed to snag the entire team seats, center stage, third row, as soon as they opened the doors. Chris Tomlin started the night off with great set, followed by the Charlie Hall Band. After that, Louie Giglio gave an absolutely awesome talk… Tears again. To finish up the night, Tomlin came out again and raised the energy with his new song “Sing, Sing, Sing!” During this song, I think I released the rest of the built up emotion. Singing at the top of my lungs, jumping, and pumping my fist with four thousand Malaysian college students took it all out of me! After the concert, we got one last chance to hang out with many of our friends from the University as they were all going on Summer break and we wouldn’t see them upon our return to Melaka. Thus, we took a ton of group pictures and said our last goodbyes.